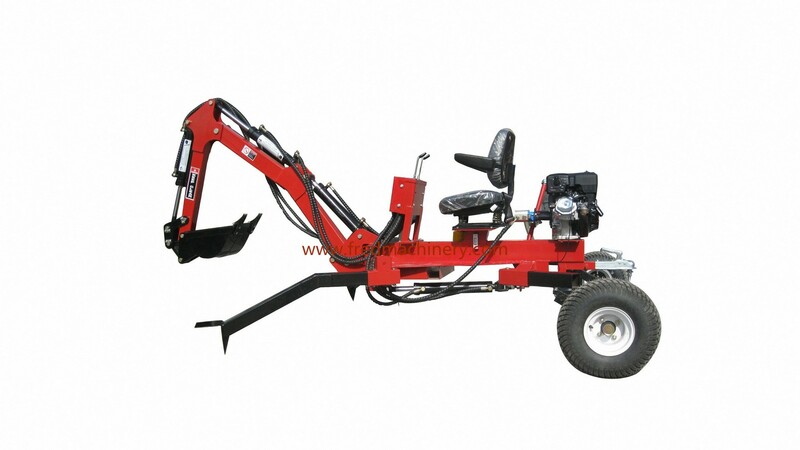 ATV Backhoe Digger - Buy Product on Weifang Fred Machinery Co., Ltd. 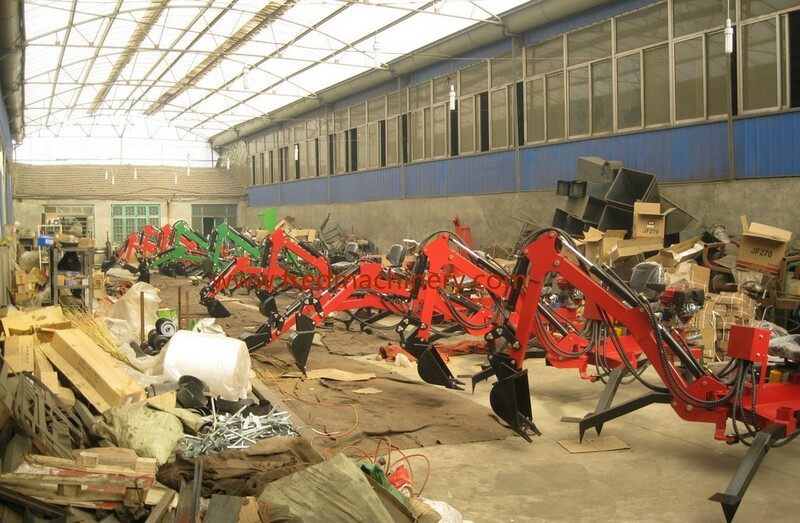 The mini excavator (walking excavator) is a very robust and easy to keep working device, with which you can reach even the hardest to reach places. 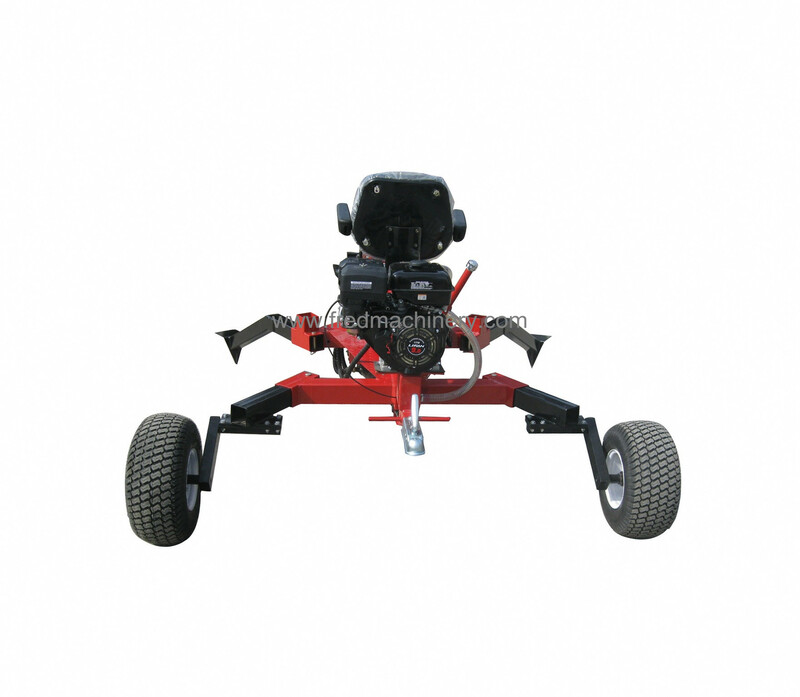 It is equipped with a 9 HP petrol engine which powers the hydraulic pump. The device does not have its own drive system; however, you can move position through pulling or pushing using the bucket. With immediate effect we deliver the mini excavator with four-way control lever steering. As can be seen in the pictures, two four-way control levers are installed. You can assign the functions yourself by connecting the relevant hydraulic lines. This way you can set up e.g. Euro-steering, which is used on almost every excavator. The boom swing angle range measures a radius of 130 degrees. To make the device ready for transport the wheels and supports are exchanged between the front and the back ends. As part of the delivery you will also receive a 23 cm wide bucket. As an optional extra, we can also deliver buckets from 35 to 60 cm width. Compact and well-constructed backhoe digger with self-own power output. It is the ideal tool for all your landscaping, drainage, and material handling needs whether it is at home in the city, the countryside, or in the woods.